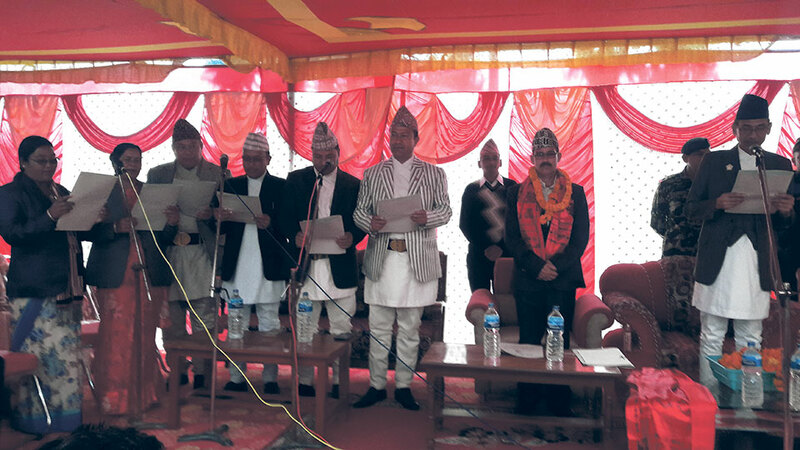 DHANGADI, Feb 18: Trilochan Bhatta, the chief minister of Province 7, assumed the office amid a function in Dhangadhi on Saturday. Governor Mohanraj Malla administered the oath of office and secrecy. 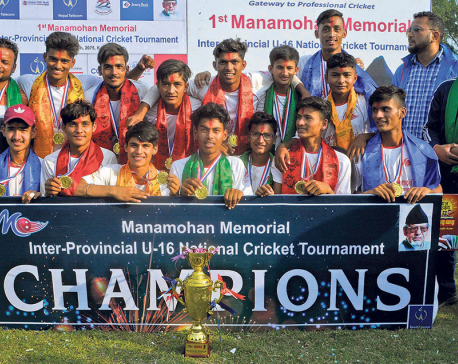 Chief Minister Bhatta said that he would mobilize natural resources to bring development to the far-western region. Far-western region is relatively backward in terms of development, education, and health among other things. "Province 7 has enormous potential in water resources, tourism, herbs and agriculture," said Bhatta adding, "I will try to utilize these resources properly and make the region prosperous." Bhatta assured to expedite the works of Upper Karnali, Pancheshwar and West Seti hydropower projects, initiate construction of more hydropower projects, modernize agriculture and tourism development during his stint in power. Soon after taking the oath of office, Bhatta inducted six ministers to his cabinet. The ministers were appointed based on a power-sharing agreement between the ruling CPN-UML and the CPN (Maoist Center). Of the total ministers, three including the chief minister are from the Maoist party whereas four are from the UML. Two women ministers in the provincial cabinet are from the Tharu community. UML's Prakash Shah, who is also the parliamentary party leader in the provincial assembly, has been named as internal affairs and law minister. Another UML leader Dirgha Sodari has been appointed as social development minister, Pathan Singh Bohara is physical and infrastructure minister, and Maya Bhatta is industry, tourism, forest and environment minister. Similarly, Jhapat Bohara of the Maoist party has been appointed as financial affairs and planning minister, and Binita Chaudhary is land management, agriculture and cooperatives minister. Internal Affairs and Law Minister Shahi promised to utilize natural resources for the development of the province. "I will try my best to utilize natural resources and develop this [province] as a prosperous province. Also I will focus on maintaining law and order," said Minister Shahi. The first cabinet meeting of the province has been scheduled for Sunday.